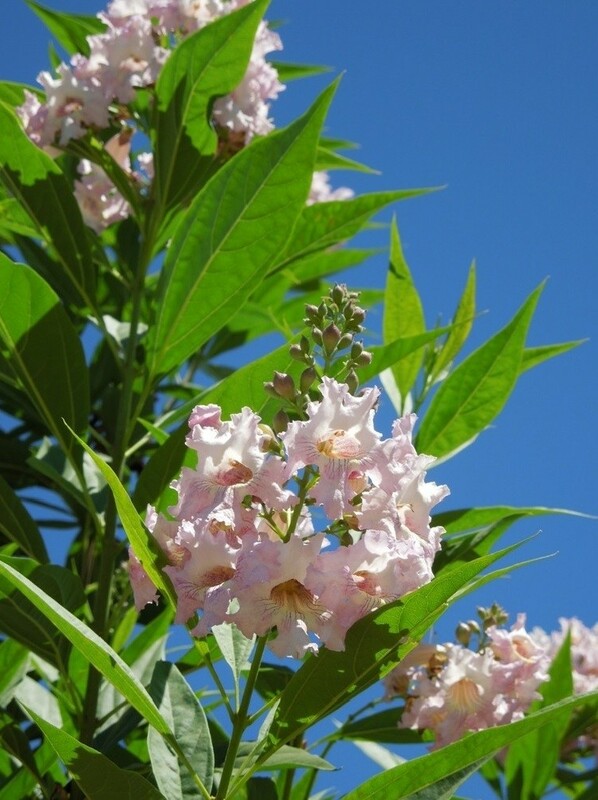 This is a very unusual hybrid between, Chilopsis and Catalpa, resulting in this amazing deciduous shrub or small flowering tree. 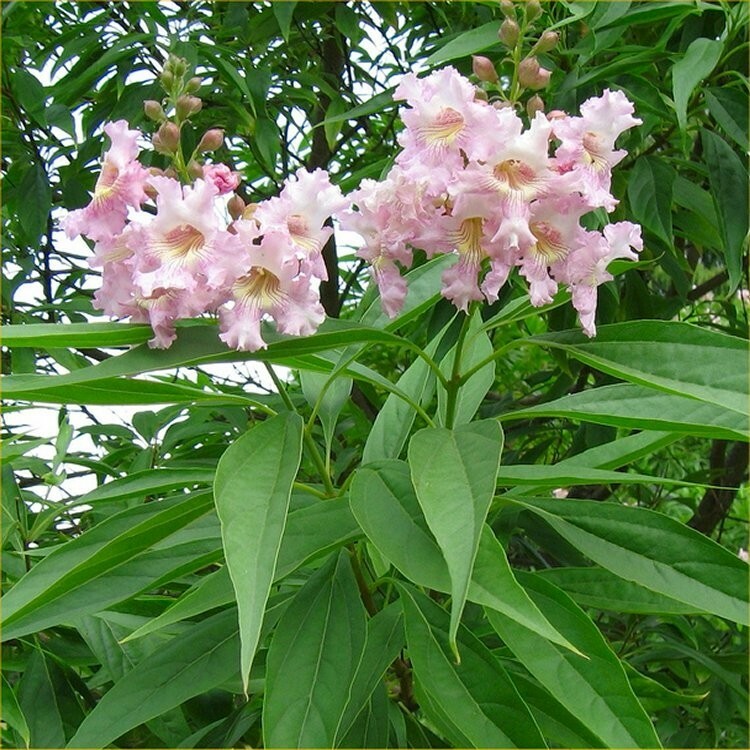 Covered in dark green, narrow, lance-shaped leaves, it is prized for its mass of pink, orchid-like blooms in summer. Chitalpa Summer Bells is fully hardy, and forms a neat bushy plant that is also tolerant of dry soils. 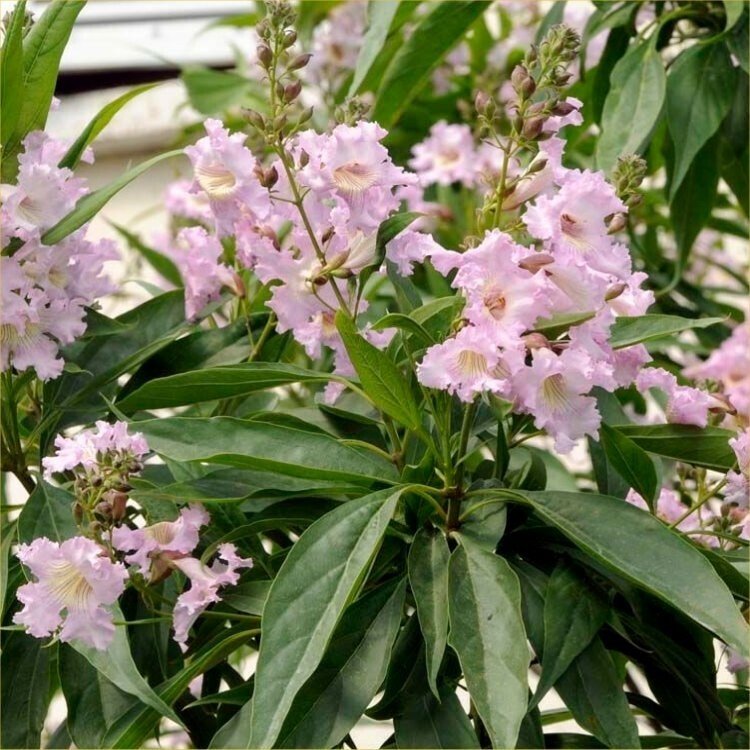 It is an ideal specimen shrub for the plant connoisseur. The Chitalpa starts flowering in late Spring and flowers until late Autumn. 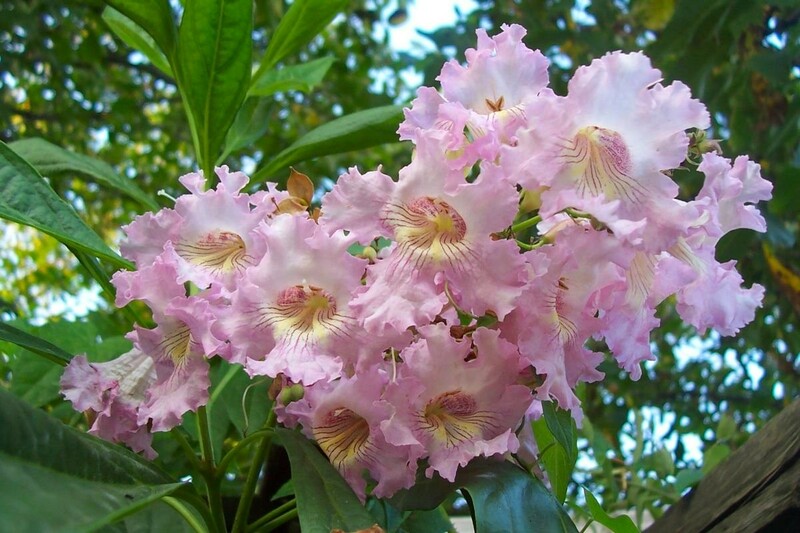 The flower pictured is just one of thousands of blooms that appear each and every day during the many months of bloom provided by this heat tolerant patio tree. The Chitalpa will do best in full sun, in any well drained garden soil. Supplied in approx 5 litre containers at approx 120-150cms tall.